One of the most important tools in laser surgery is precision. 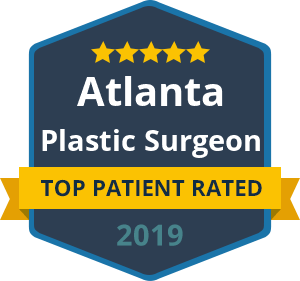 Dr. Ben Talei, a dual board certified facial plastic surgeon has the qualifications, experience and expertise to perform precision non-invasive treatments through the use of the core fusion CO2 laser system from Syneron. Our patients can expect to see spectacular results from CO2RE treatments, under the expert hands of Dr. Talei. The Syneron Core Fusion CO2 Laser is designed to perform both superficial and deep skin treatments, allowing for greater precision and control. The system is self-assessing, which means that Dr. Talei is able to adjust treatments in real time and store useful analytical data with each new treatment. Due to the reduced operational stresses of CO2RE, the system allows Dr. Talei to carry out treatments without becoming fatigued. There are also various modes available with CO2RE, which makes treating skin conditions quick and effective for our patients. What can you treat with CO2RE? CO2RE is ideal for treating a number of skin conditions, both deep and superficial. Patients who have suffered scarring from acne can receive treatment using CO2RE. Dr. Talei can use the CO2RE system to perform CO2 resurfacing at multiple skin depths. The treatment allows for fractional resurfacing, which covers both ablative and non-ablative procedures. With CO2RE, there is a greater scope for treating scars and wrinkles. The Beverly Hills Center for Plastic & Laser Surgery offers our patients a multi-layered approach to treating skin conditions. CO2RE provides Dr. Ben Talei with an advanced precision system which offers huge benefits to our patients. To find out how we can help you using CO2RE, contact the Beverly Hills Center for an expert laser surgery consultation. By utilizing the precision of laser surgery under the skilled hands of Dr. Ben Talei, we are changing the lives of new patients each and every day.